This column comes from the winter 2018 edition of the Nonprofit Quarterly. I’m sitting on a Malibu beach with my friend Jim on a beautiful late-summer night in September. He’s super smart, and is wrapping up a gig as a chief financial officer for one of the largest nonprofit providers of children’s mental health services in Los Angeles County. Just after the green flash when the sun sets (I swear I saw it), he asks me, “Know what it takes to be successful running a nonprofit?” I don’t reply, knowing that he’s going to tell me. “It takes just three things: intelligence, tenacity, and luck.” I get the first two—but does luck really matter? It depends upon who’s asking. Take me, for example. I have opportunities that many others don’t, simply because of who I am—old, white, and a guy. You don’t have to look very far to see this at work. The CEOs of the Fortune 500 in May 2018 included only twenty-four women.1 In nonprofit organizations, it’s much better—the ratio is three-to-one female to male. But it’s better to be a guy when it comes to pay.2 The bad (and truly shameful) news is that 90 percent of chief executives are white—the same percentage for board chairs.3 And roughly 70 percent of the executives and board chairs are fifty years old and up.4 So, if I’m asking whether luck matters, I have to remember that I find myself at the right places and right times because my privilege opens the doors and gets me there. What is luck, anyway? Collins and Hansen define a lucky break (they call it a “luck event”) as meeting three tests: It is largely independent of the agency’s actors, the consequence of the event matters, and it has an “element of unpredictability.”16 The trick for getting a high return on luck depends upon first recognizing the luck event—good luck or bad luck—and then deciding whether to run with it or not. To put it differently, you must seize the luck—carpe fortuna. Carpe fortuna is all about seizing the moment when the timing is right.17 You must be a luck taker. In other words, check your privilege when it comes to the lucky breaks you’ve had. 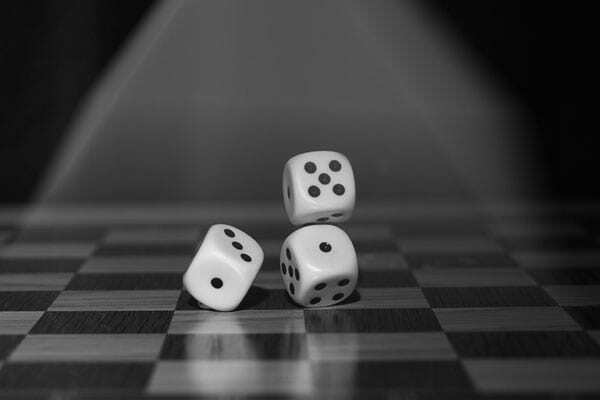 We have to begin to think differently about “luck” and hold ourselves accountable for creating and insisting upon a more even playing field, where the odds of accessing luck cannot be so easily predicted by gender, race, or other circumstances and opportunities. Because of this, we must all embrace our obligation to not just seize the luck but also pay it forward: carpe fortuna—reddere in ante! Valentina Zarya, “The Share of Female CEOs in the Fortune 500 Dropped by 25% in 2018,” Fortune, May 21, 2018. Ruth McCambridge, “High and Low Pay Fields for Nonprofit CEOs, and the Woman Problem: GuideStar’s 2017 Compensation Study Is Out!” Nonprofit Quarterly, September 12, 2017. Jay A. Conger, The Charismatic Leader: Behind the Mystique of Exceptional Leadership, 1st ed. (San Francisco: Jossey-Bass, 1989): 66. Bruce D. Henderson, “The Origin of Strategy,” Harvard Business Review 67, no. 6 (November-December 1989): 139–43. Michael L. Hartzmark, “Luck versus Forecast Ability: Determinants of Trader Performance in Futures Markets,” The Journal of Business, University of Chicago Press 64, no. 1 (January 1991): 49–74. Antonio Alvarez and Peter Schmidt, “Is skill more important than luck in explaining fish catches?” Journal of Productivity Analysis 26, no. 1 (August 2006): 15–25. Hao Ma, “Competitive advantage: what’s luck got to do with it?” Management Decision 40, no. 6 (August 2002): 525–36. Scott Barry Kauffman, “The Role of Luck in Life Success Is Far Greater Than We Realized: Are the most successful people in society just the luckiest people?” Beautiful Minds (blog), Scientific American, March 1, 2018. Jim Collins, Good to Great: Why Some Companies Make the Leap…and Others Don’t, 1st ed. (New York: Harper Business, 2001). Robert Imrie, “Diet creates big demand for little cheese company,” Independent Record, August 18, 2004. Jim Collins and Morten T. Hansen, “What’s Luck Got to Do With It?” New York Times, October 29, 2011. “Fortuna,” Wikipedia, accessed November 30, 2018. Mark Light, “Finding George Bailey: Wonderful leaders, wonderful lives” (PhD diss., Antioch University, 2007). David L. Blustein, “A Context-Rich Perspective of Career Exploration Across the Life Roles,” Career Development Quarterly 45, no. 3 (March 1997): 260–74. Mitchell, Levin, and Krumboltz, “Planned Happenstance,” 77. Crimson Staff, “A Losing Legacy,” Harvard Crimson, May 28, 2015. Jeremy Ashkenas, Haeyoun Park, and Adam Pearce, “Even With Affirmative Action, Blacks and Hispanics Are More Underrepresented at Top Colleges Than 35 Years Ago,” New York Times, August 24, 2017. Simon M. Laham, Peter Koval, and Adam L. Alter, “The name-pronunciation effect: Why people like Mr. Smith more than Mr. Colquhoun,” Journal of Experimental Social Psychology 48, no. 3 (May 2012): 752–56.